Act now and get $25 off your 1st booking when this special offer from Boatsetter.com. 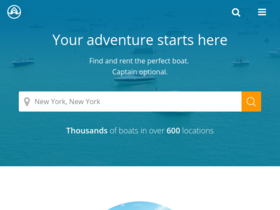 Rent a boat with Boatsetter and save up to 50% over buying. Book with Boatsetter's #1 boat rental community today! Check out Boatsetter online for their latest special offers.